And so the festive season has officially begun! As 2018 draws to its wintery close, the crucial phrase ‘getting in the Christmas spirit’ becomes almost taboo, until about late November, when one-by-one we feel ourselves surrendering to the inevitable - the rosy smells of mulled wine, the taste of mince pies, the bright sound of bells and Mariah Carey’s phenomenal upper register - and quickly changes our tune to one of excitement and joy. For us, none other than the amazing tradition of Christmas markets is what gets us in the Christmas spirit, and so we have gathered some of the fantastic Christmas markets in South London that are definitely worth checking out in your local area this year! After a popular start last Christmas, SoLo Craft fair are returning to Balham Bowls Club to transform their ballroom into a fantastic winter wonderland, comprising of over 30 stalls selling all kinds of Christmas gifts and crafts. There will also be a bar selling food and drink all day. More info here. Nestled inside Battersea Park, Pear Tree Cafe will be hosting its second Christmas Fair this year. The marquee where it will be located is to be transformed into a glorius fair comprising lots of stalls, fairy lights, christmas trees, carol singers and more. Battersea residents need not miss this! More info here. Another SoLo craft fair endeavour, Beckenham will be hosting it’s Christmas fair inside The Chancery pub for their festive market on the 1st December, and from this description, it doesn’t sound like you want to miss out: “The pub will be taken over with 25 talented creative traders who will be selling the best in Christmas gifts. There will be everything from fashion to ceramics to art on offer, so grab a mulled cider at the bar and browse the incredible stalls whilst the little ones are kept entertained in the kids play corner with crafts, toys and Christmas films throughout the day.” More info here. Spread across various locations, these Scandinavian Christmas markets have been a great addition to Christmas markets in London. This particular market, spanning two days, will focus on Norwegian culture, including plenty of Norwegian waffles, open style sandwiches and much more. 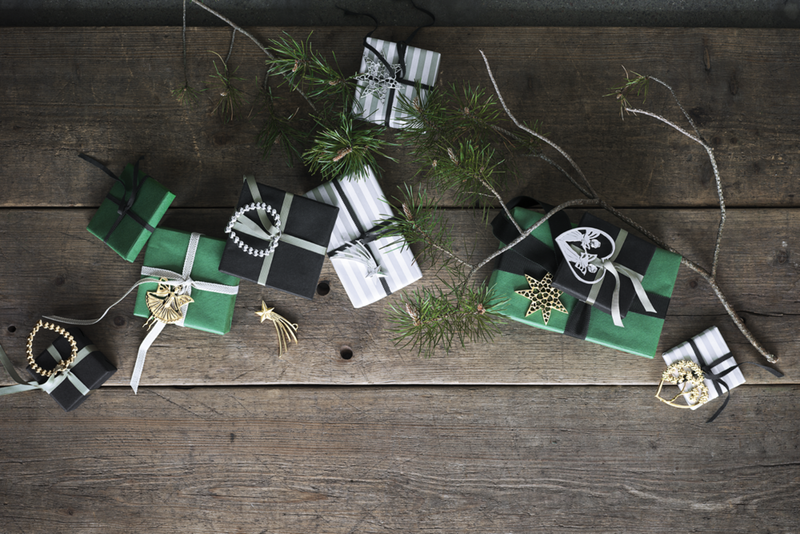 Also on sale is a fantastic range of Norwegian craft designs which will make excellent gifts. It’s also the place to stock up on Norwegian specialities such as the Freia milk chocolate. More info here. Held in the historic Blackheath Halls, Blackheath Christmas Fair returns once again to showcase some of the amazing local talent of craft makers, artists and more. There will be children’s gifts and activities as well, including a certain bearded man dressed in red, and his grotto...More info here. This market will be held in the charming Southwark Cathedral. It brings together local crafts people, artists, designers, and local businesses. More info here. Brixton’s famous Crafty fox market will be back this year with another great display of local talent from crafts people, artists and more. Held in the beautiful ‘Downstairs at the Department Store’, part of an architectural firm, you can trawl around a great space and visit ample traders, enjoy a drink from the bar, and boogie down to the to the Crafty Fox DJ’s throughout the day. More info here. Brockley Christmas Market is back this year to bring the cheer back to Brockley. Come along to shop from local makers, with up to 60 stalls selling a wide range of arts & crafts, and festive food & gifts. Stay for the afternoon to enjoy a programme of live music, carol singing, and the Christmas tree lighting ceremony. And make sure to visit the BXAG stall for mulled wine & mince pies to warm your cockles and help raise money for local community activities. More info here. Residents of Crofton Park are once again to be offered a showcase of fine talent from the local community. This bonanza will offer not just a crafts market, but also a range of hot food stalls, Santa’s Grotto, and bouncy castles (yes that’s plural!) in local Primary school Beecroft Garden Primary School. More info here. Petts Wood memorial hall and gardens will be the host of a lovely Christmas market this year in Bromley. The market will include local stalls, plants, christmas gifts and much more. More info here. St Christopher’s Christmas Market on Saturday 24 November, 10am – 2pm will be a festive treat for all the family. Held in the pretty grounds of the hospice’s Caritas House site in Orpington, there will be delightful Christmas foods, gifts and magical activities to kick-off the season of goodwill, as well as children’s activities including an Elf’s workshop and Santa’s Grotto. More info here. Spanning 3 unique locations, Made In Camberwell Arts Market is set to be a fantastic event showcasing the best of Camberwell’s independent businesses and creatives. If you’re in need of a unique and bespoke gift this year for someone special, be sure to check this market out. Each market is only 50 metres away from one another, and you can check out some of the fantastic artists that will have their work on display here. Held annually in the legendary Catford Broadway Theatre, the people behind Catford Food Market are hosting another festive market which promises to delight Catford locals. Alongside fantastic food options, their will be craft stalls, carol singers, and a Christmas light switch on at 4pm. More info here. 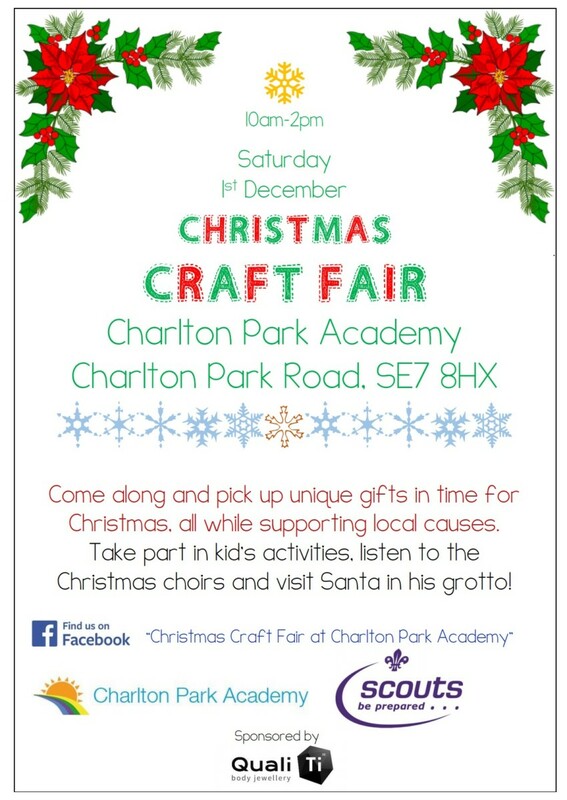 Charlton Christmas Fair will will be hosting an array of gifts, christmas activities for Children and a Santa’s grotto, amongst much more. Come along to Charlton Park Academy to enjoy the festivities! More info here. 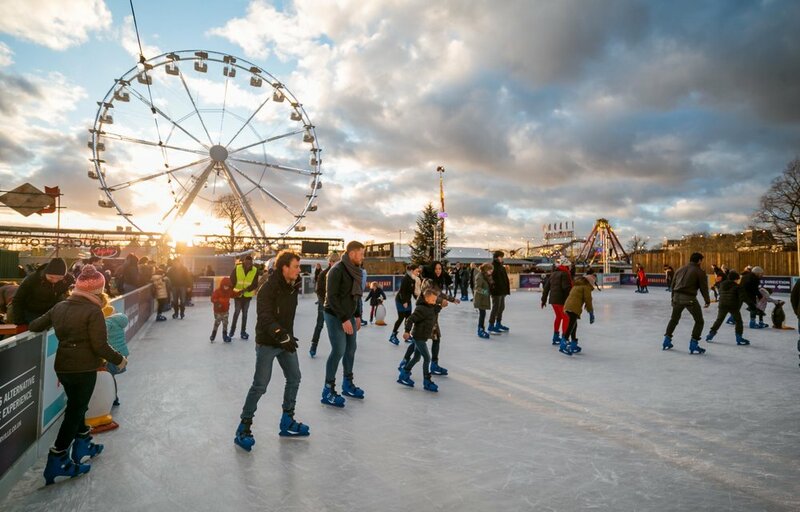 One of the biggest Christmas bonanzas South London is offering this year, Winterville is taking over Clapham Common from the 15th Nov - 23rd Dec. With a list of activities ranging from cinema, roller disco, ice skating, plonk golf, and many more, this event is not going to bore you. More info here. 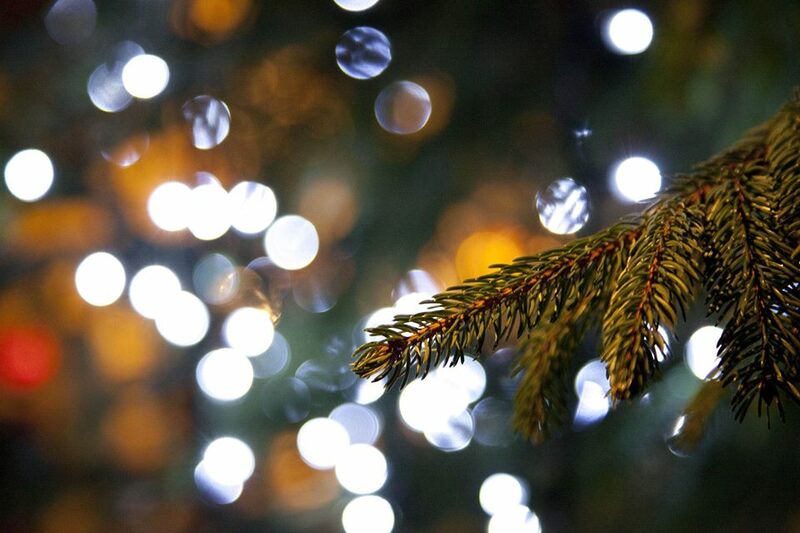 Kick off the festive season with Merton’s official Christmas lights switch-on event. Come along to the plaza, adjacent to the entrance of Colliers Wood tube station, to join in a festive sing-along with the Colliers Wood Chorus and local primary school choirs - with the illumination of High St Colliers Wood at 5:30pm. More info here. With over 30 chalets serving delicious streetfood, drinks + original gifts and crafts, Croydon’s Christmas Market will provide something to add a little sparkle to your day whether you’re looking for great Christmas gift ideas or just want to relax and get away from the hustle and bustle. With a long run starting from the 22nd November, there is plenty of time for all Croydon residents to get involved! More info here. The clue is in the name...this lovely one day festival in Deptford will be showcasing the fresh produce from a street food market in Deptford. There will also be fantastic makers and designers from Deptford Market Yard who will be selling unique festive gifts to passers by...More info here. SoLo Craft Fair are hosting another Christmas Craft market in the heart of the Dulwich Village on Saturday 24th November. St. Barnabus Parish Hall will be filled with over 50 incredible independent traders selling the best in handmade crafts. There will be a bar serving Christmas tipples, so grab a drink and do your Christmas shopping in style! More info here. West Dulwich residents are back organising another great Christmas fair this year for the locals. Alongside lots of arts & craft stalls, there will also be live music, street food, beer & wine, and a Santa’s grotto. There’ll also be lots to keep children happy, including a treasure hunt around the area, Santa, Miss Christmas, story time, face painting, crafts and cakes. More info here. Southwark’s newest street dedicated to creative enterprise, Spare Street, is hosting its first Christmas Market this year, and is hoping to be a stunning event filled with creative artwork and more. “Sip a mug of mulled cider as you browse the wide selection of original artworks, artist prints, illustrations, ceramics, jewellery, and sculptures. With appreciation of handmade products at an all-time high, this will be the perfect opportunity to find a unique and meaningful Christmas gift.” More info here. Find another great Crafty Fox Market at Mercato Metropolitano (a food lover's paradise) for another bumper Christmas Market featuring an exciting line-up of talented traders. Support the makers and find unique gifts for all the family while soaking up the festive vibes and enjoying delicious food and drinks! More info here. In the scenic backdrop of Tudor Barn, Eltham’s Frost Fair Christmas Market will offer live music, plenty of stalls with hand-crafted presents, lots of mulled wine and festive food to keep your bellies warm. More info here. Set in the backdrop of the idyllic Horniman Museum gardens, the Horniman’s Christmas Fair is a fantastic local market showcasing a fabulous array of local talent from crafts makers, artisan food, and designers. Make sure you get down for one of the days of the weekend to enjoy a leisurely stroll whilst soaking up the christmas spirit, and grab a gift or two and a mince pie while you’re at it! More info here. Ye Olde Maritime Christmas Market will host the Greenwich Christmas Festival where the Mayor of Greenwich will officially welcome Christmas to Greenwich by switching on the Christmas lights. The day will offer a wide variety of entertainment, along with the traditional Grotto where Santa will be with his reindeer handing out gifts. Visitors can also take a rides on traditional fairground rides and there will be a live music stage. More info here. SAMPLE Christmas is back this December to celebrate the best the festive season has to offer. Greenwich Peninsula presents SAMPLE, curated by Hemingway Design which celebrates the start of each new season and showcases emerging creatives from the worlds of fashion, beauty, art, design and homewares. All this will be alongside a market of seasonal food and fresh ingredients. So come down and enjoy exploring the different things on offer, and bring a friend! More info here. Downham’s Winter Festival is returning this year for everyone to enjoy, with Christmas Stalls, Santa's Grotto, Reindeer Rodeo, Along with plenty of free activities. There will be something for everyone and with the festival being free entry and purely based with the communities interests at heart. More info here. Set along the winding Railton Road, you can’t pick a better location for a Christmas Market in Herne Hill. Featuring an array of lovely craft stalls, foodie gifts, live music, local beer & wines to stock up on for the season and more, there is loads on offer for Herne Hillians to enjoy in the festive spirit. More info here. Coming off the back of one of the busiest years this renowned Christmas Market had last year, the Hither Green Christmas Fair will be back again this year taking up the parade on Station Road, with an assortment of local food stalls, craft stalls, carol singers and a huge Christmas tree that will be sure to light up as the sun goes down, this one is not to be missed for Hither Greeners. More info here. Enter the grounds of the quaint St. Mark's Church on Sat 15th December for Oval’s annual Christmas Market. There’ll be lots of lovely handmade craft stalls, foodie gifts, live music, local beer & wines to stock up on for the season and more! More info here. The legendary Peckham festival is back this year for its 7th run. This year they will host more than 140 fabulous independent local doers, makers, foodies and traders in Warwick Gardens across Saturday 8 and Sunday 9 December, 11am-6pm. There will be festive hits played all day in our bar serving local beer and our legendary mulled wine. More info here. If you’re local to Penge, this lovely little Christmas market but be the one for you. Alexandra Nurseries are hosting this market across the first weekend in December and it will include independent markets, handmade gifts, mulled wine and much more...More info here. Positively Putney Christmas Light Switch On 2018 is an event for all Putney locals to enjoy. Join in for an annual light switch on event with performances from local schools and drama groups on our live stage compered by Wandsworth Radio. During the afternoon there will be street food, craft and gift stalls, kids rides and slides and new for this year a Christmas Tree forest. More info here. Sunday 9th December will be the fourth annual Rookery Christmas Fair and Market in Streatham. With over 40 craft and gift stalls, yummy food and drink, Santa's Grotto, Marshmallow Toasting and Kids entertainment this is a great day out for all. New for this year is the Farmers Market zone and some festive workshops. More info here. Sydenham’s Woodhouse Christmas market is shaping up to be quite the event this year, with tempting festive food, warming boozy drinks and the chance to turn Christmas present shopping into a fun day out in lovely Sydenham hill. The Woodhouse Christmas Market this year will have specially selected artisans, designers, cake makers, present wrapping and independent traders, many from the local area, selling a wide range of wonderful gifts. More info here. Thornton Heaths annual Christmas Fair will be happening again this year at St Stephen’s Church, and will be jam packed with festivities including stalls, raffles, tombola, quality gifts and much more. More info here. Focusing on all things local, Tooting tram & social Christmas Fair will this year be providing a free crafty workshop, a £50 voucher, and many other goodies including Christmas gifts. Make sure you come down to celebrate and get yourself in the running to win some goodies! More info here. This classic festival is coming once again to tempt Londoners for that post work tipple with the alluring smell of mulled wine and cider. See Southbank Centre transformed this winter with magical family shows, markets, twinkling lights, festive fun and other seasonal delights. Eat, drink and be merry beside the River Thames with the return of our enchanting Winter Market and pop-ups, offering the very best in global street food, craft beers, cocktails, artisan gifts and more. More info here. Another long haul Christmas market, Wimbledon’s Christmas Market will be setting up shop on the famous Piazza from the 24th November - 23rd December, to really sink in those Christmas vibes. Join in one day for a fruitful experience packed jammed with festive offerings. More info here. West Norwood will be hosting a feast themed market this year for those who like to stuff themselves at Christmas. Come down to the last Feast event of the year at St Luke’s Church. There will be Christmas Lights and an evening of food and festivities from 4pm until 7pm. More info here. A brand new market will be coming to Woolwich this year in the run up to the Christmas period. Check out vintage gifts, crafts, food and beverages and live entertainment. Perk up your Sundays with this new market and support local businesses and craft makers. More info here.